Slayan, Inawordyes, AvianBritish and 6 others like this. Glad they are weighed towards more than one victory type, too. Not a one-trick pony, unlike Macedonia. Inawordyes, altayrneto, conorbebe and 3 others like this. Inawordyes, conorbebe, Kjimmet and 3 others like this. Tiger Genocide, MooFreaky, Inawordyes and 10 others like this. No joke, that auto-theming ability is serious stuff. Its like a british museum turn up to 11! Unique GP building synergizes great too. Carolean - great. I love the unique bonus they have. These guys will be monsters. Stack with logistics for fending off scheming Norwegians and Danes! Open Air museum- very novel mechanic. And I thought they'd run out of these one-per-city UIs! Tiger Genocide, tedhebert, Inawordyes and 12 others like this. Historically, she was taught as a male heir and liked to dress somewhat like a man. Noble Zarkon, Inawordyes, conorbebe and 5 others like this. Inawordyes, conorbebe, TahamiTsunami and 2 others like this. Another culture civ? Nope, sorry, I'll stick with korea & scythia. But the library & character model is nice. Sweden is just not sciency enough. So the LUB is the first unique that you can actually be completely locked out of? Interesting, I imagine why the concept is used only for the second unique. 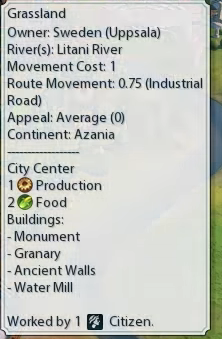 Seems like a civilization designed to go very wide as its unique improvement is great for wide play and its other bonuses is also very much pro wide play. Slayan and TahamiTsunami like this. Inawordyes, AvianBritish, conorbebe and 3 others like this. Everyone expected science focus civ. We received culture powerhouse with very strong LA. Automatically themed culture buildings are very, very strong. Inawordyes, conorbebe, Hawke9 and 4 others like this. MooFreaky, Inawordyes, conorbebe and 9 others like this. I need some time to digest this, but my initial impression is relatively positive. This is a diplomatic and cultural civ, so it might suit me. So we didn't get IKEA as a unique Shopping Mall replacement. Inawordyes, AvianBritish, CPWimmer and 3 others like this. I'm trying to decide how I feel about this design. First: Kristina's model is great. 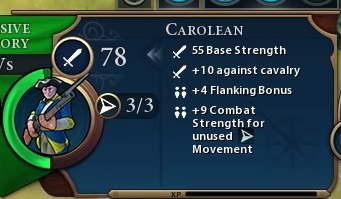 Second: The Carolean looks amazing, and I'm thinking will be a very useful and powerful anticav unit. That Queen's Bibliotheque is a must build for a cultural Sweden. It's really good! I feel less good about the Open Air Museum, but it's not something I greatly dislike. However, it's a decent cultural improvement, and bonus loyalty is always good. Automatic themeing is nice since going on a theme hunt is pretty difficult sometimes. Inawordyes, conorbebe, Hawke9 and 3 others like this. If nothing else, that was probably the point this time. Yes, love the Nobel Prize UA. I’m digging her and will play her third probably. And will have her in most of my games I don’t choose random civs. conorbebe, Hawke9, Kjimmet and 4 others like this.